Glebionis coronaria (crown daisy) is a flowering annual (family Asteraceae) found along the central and south coast of California. 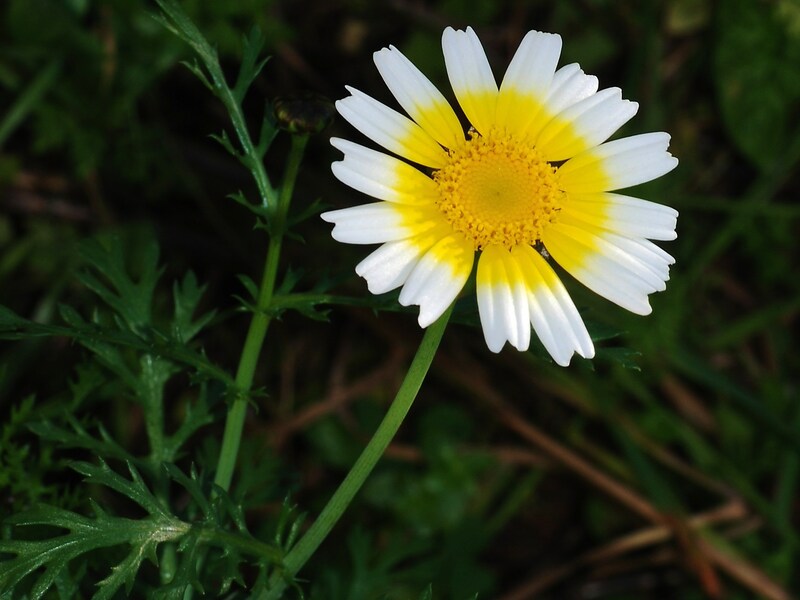 Crown daisy commonly invades riparian areas, coastal dunes, prairies and scrub. It is a common ornamental plant that escapes garden settings and easily invades disturbed areas. The seeds of crown daisies sprout very quickly after rain, even in relatively dry areas. Seedlings may grow to be up to five feet tall and may form dense stands that crowd out native vegetation. Dead plant mass can remain in place for many years, preventing native plants from recolonizing.